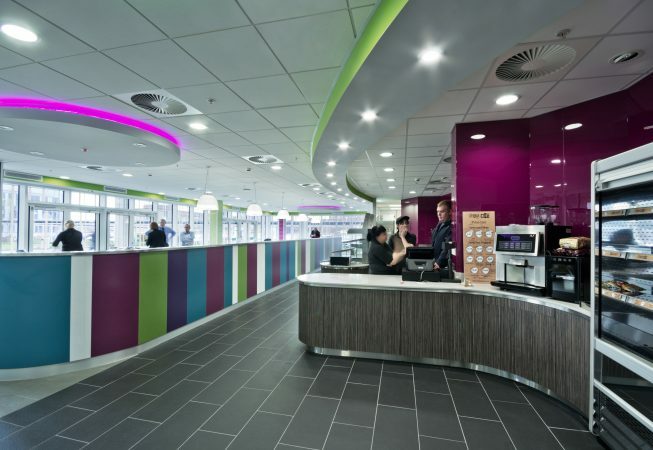 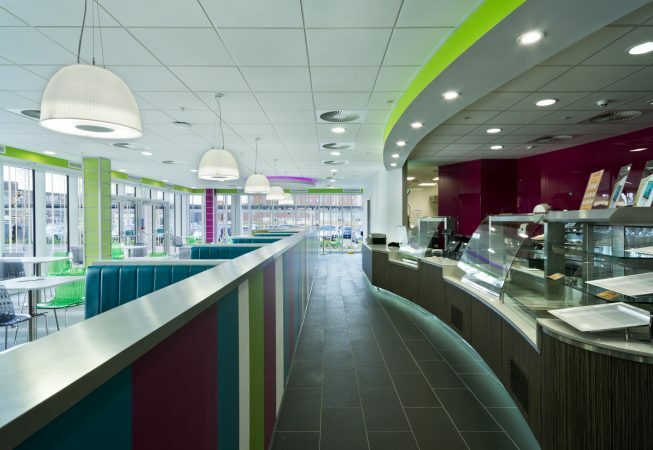 Designed by architects HKS and constructed by Balfour Beatty as part of Salford Royal NHS Foundation Trust’s £200 million redevelopment programme, the five storey Hope building has been opened to rave reviews. 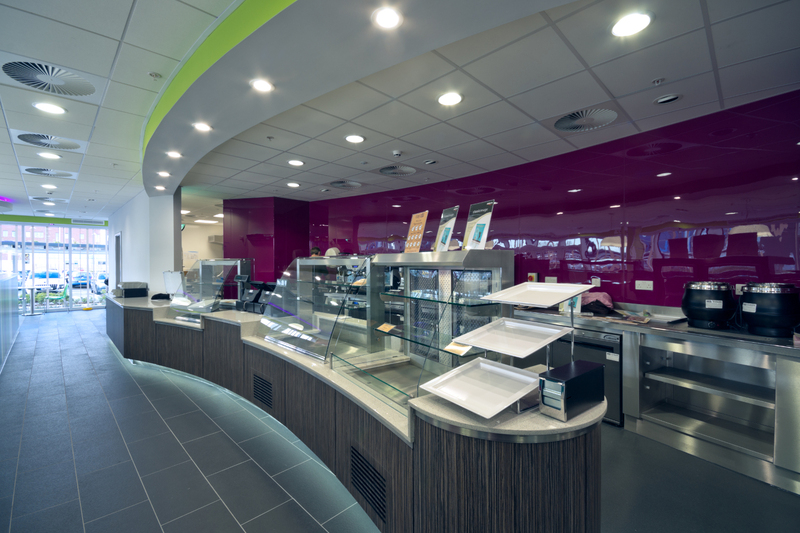 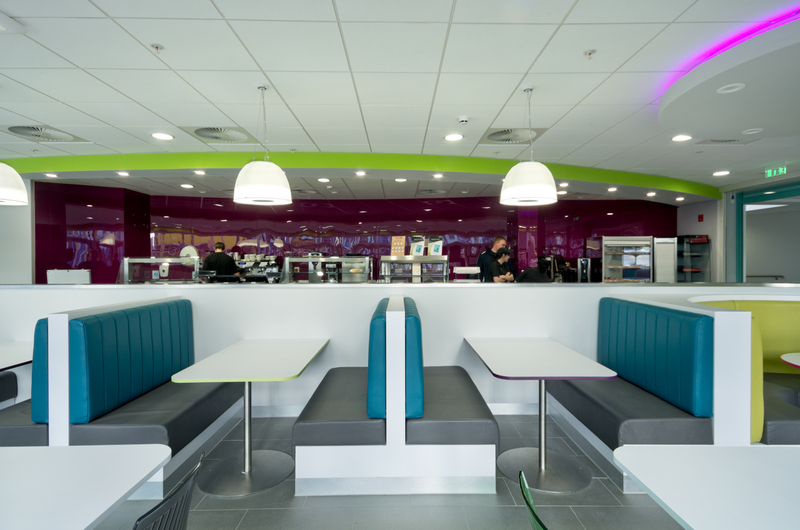 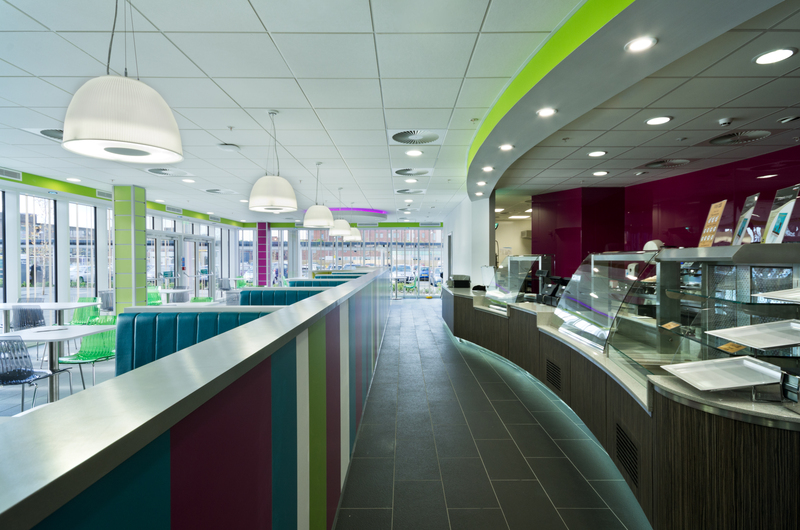 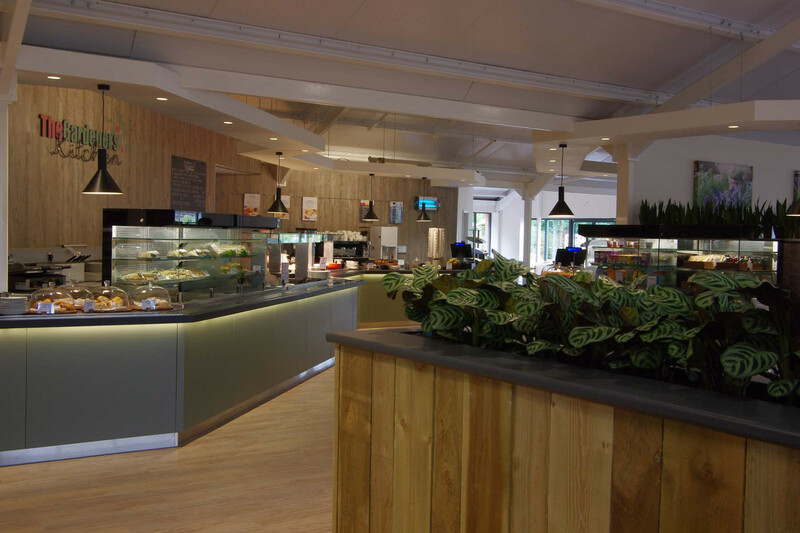 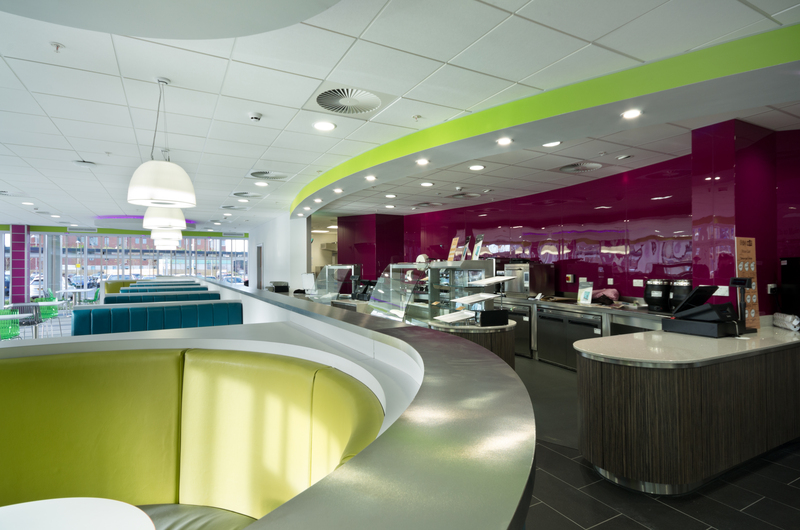 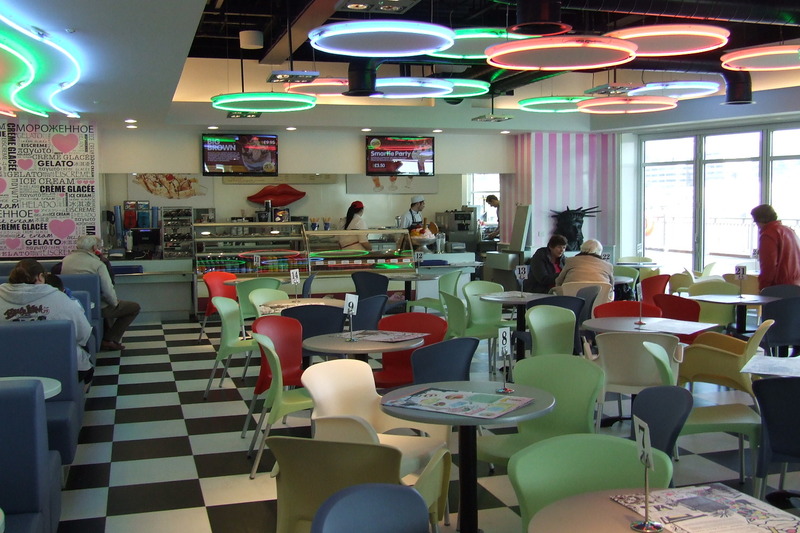 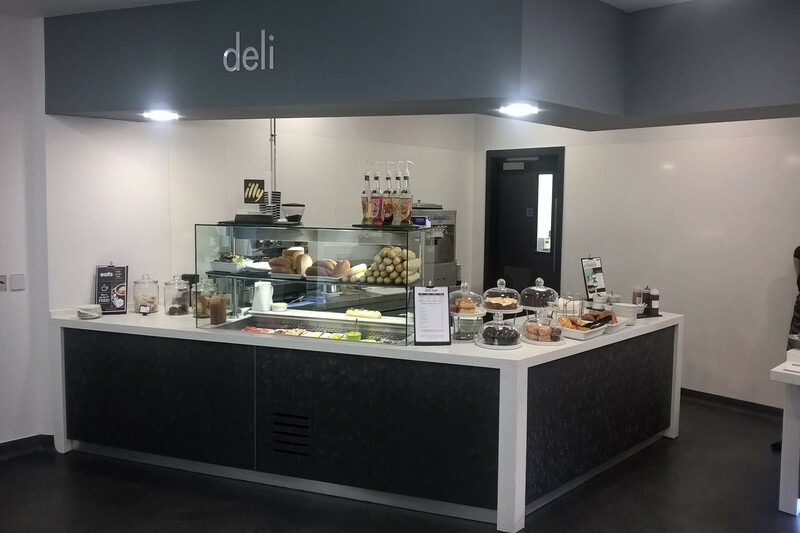 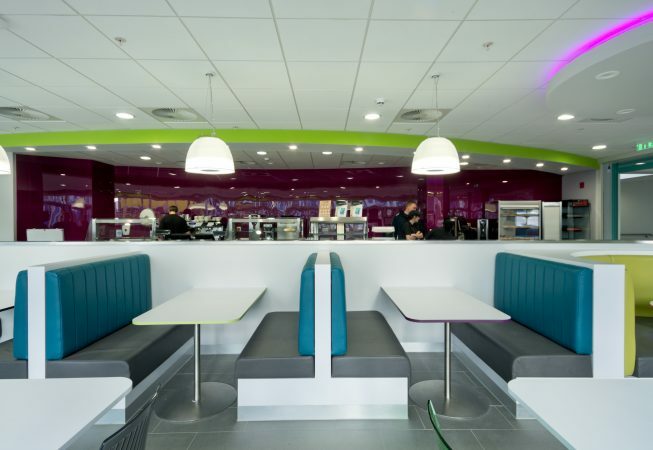 As part of this development, an exciting new contemporary cafe has been created on the ground floor, supplied and installed by HCE which has been met with much praise from the Trust for its quality and appearance. 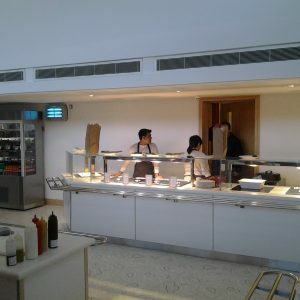 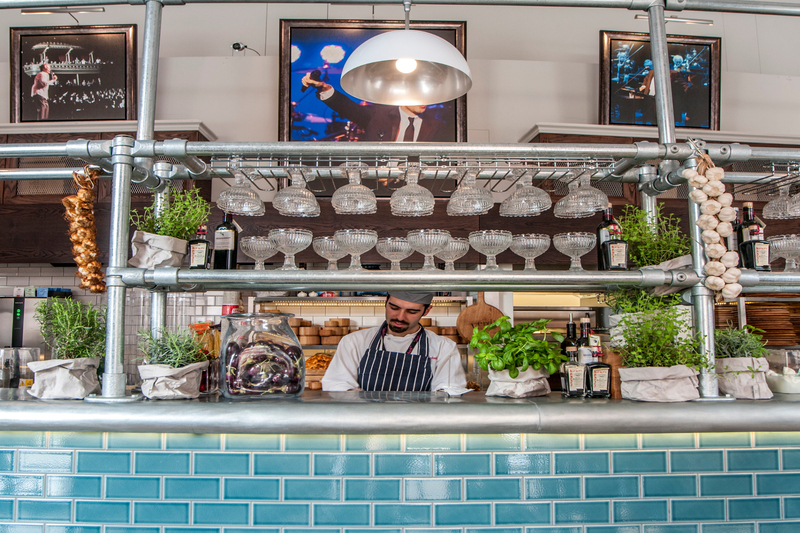 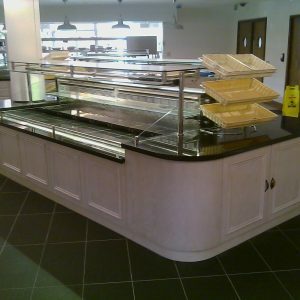 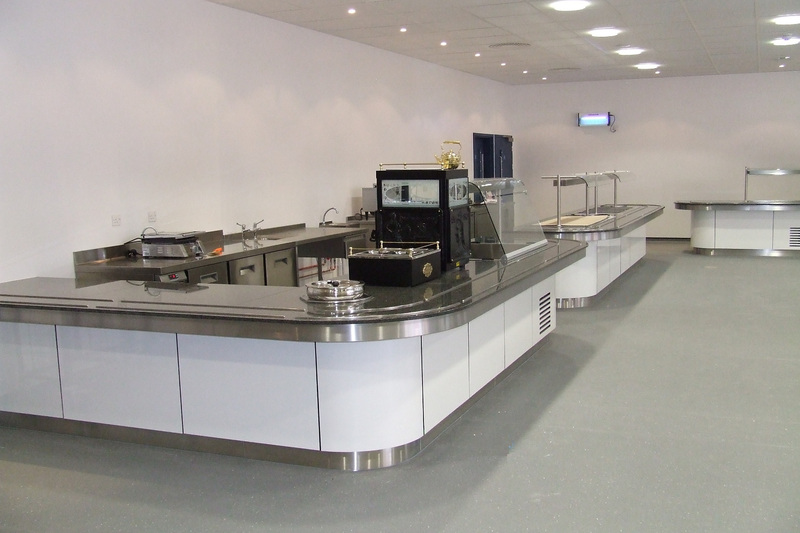 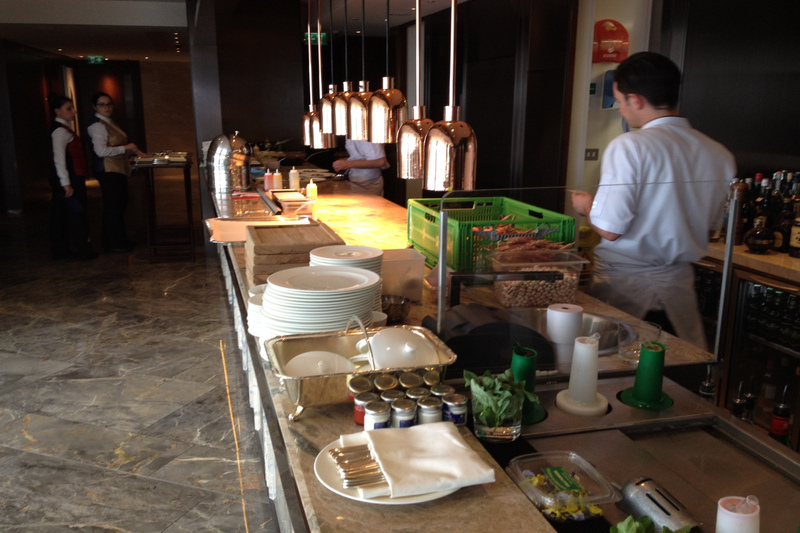 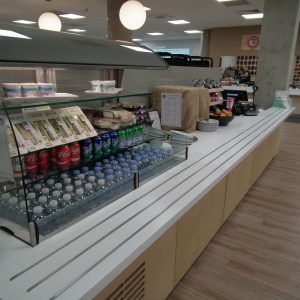 The main feature is the curved profile and very attractive main servery counter which features white granite tops, laminate front panels and stainless steel kick-strips with underslung mood lighting beneath. 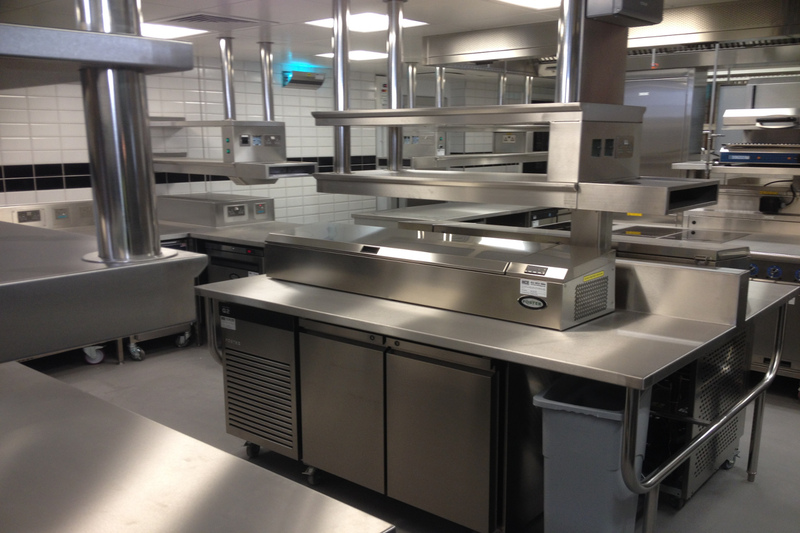 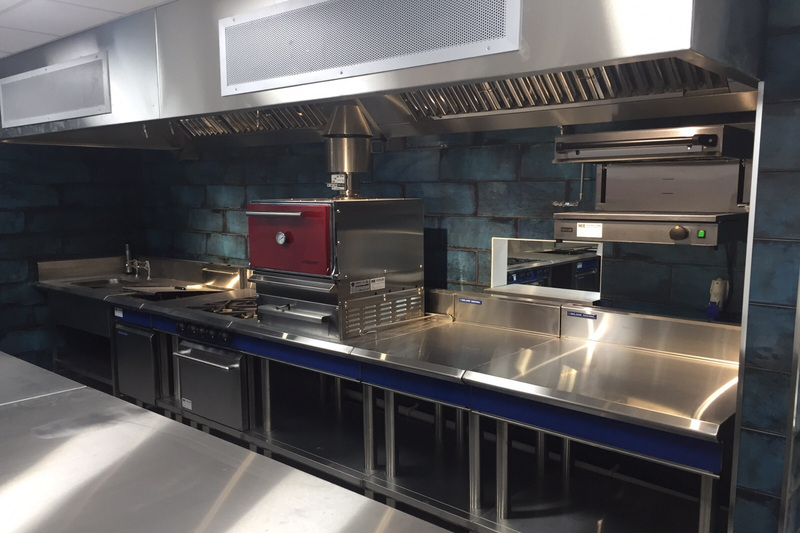 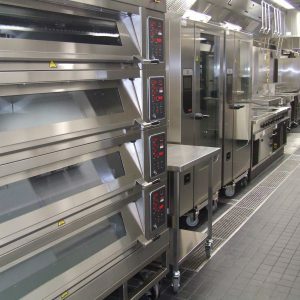 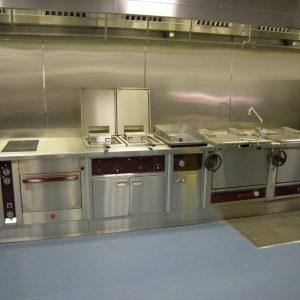 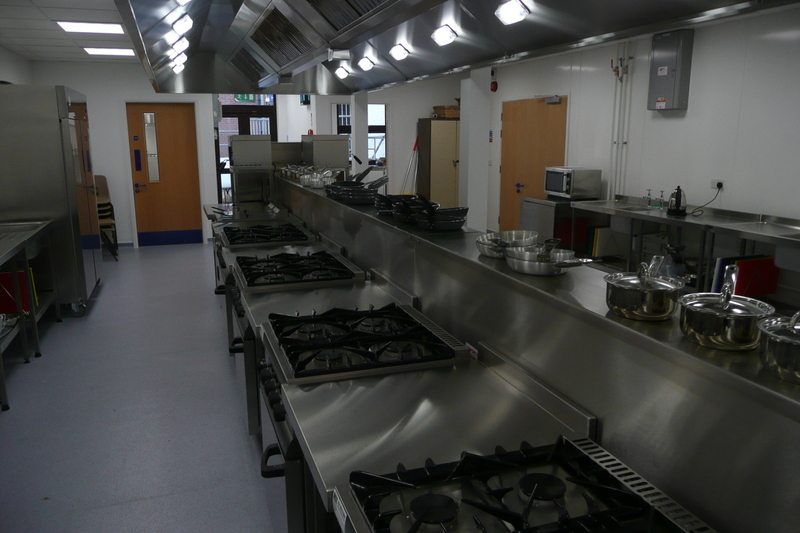 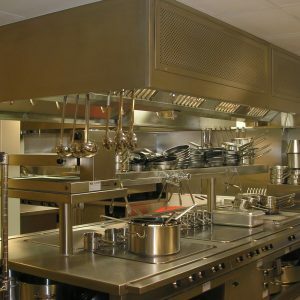 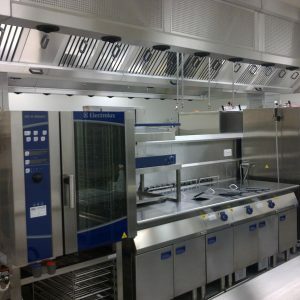 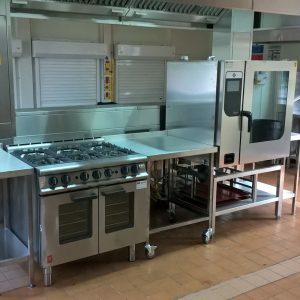 A full support preparation and wash-up area was also installed featuring the very latest Meiko washware, incorporating both the integrated ‘Gio’ reverse osmosis water treatment system and “AktivAir” vapour condensate hood.